Written by Kavita Navlani Soereide. Shillong, the capital city of Meghalaya, is currently witnessing a violent conflict between the minority Dalit Sikhs and the local majority tribal Khasis. The recent conflict is not merely a problem of two communities at loggerheads due to their different group identities, but is essentially also an example of land (mis)management in the Khasi hills of Meghalaya. 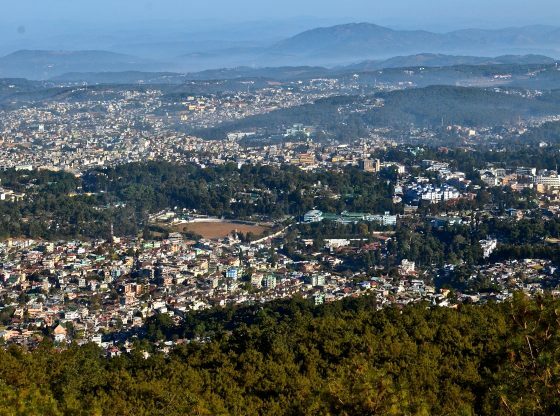 Shillong has a unique administrative set up which, barring a small ward area inside the capital being directly under the district administration, puts the capital city like the rest of Meghalaya under the purview of the Sixth Schedule. The special constitutional provision is a unique instrument that recognises and legalises the tribal covet: Land belongs to the people. This differs from the rest of India where land in general belongs to the state. Despite the constitutional protection of the tribal idea of land, it is a severe bone of contention in Meghalaya. This is evident not only through the recent violent clashes but through many more contestations in the Khasi Hills. Although the recent contested land of Punjabi Lane is under the district administration’s governance, the root of problems of land regulation and control are similar to rest of the conflicts within communities and between communities in the Khasi Hills today. Land management and control in Meghalaya has historically been different than the rest of the country. Simply put, land in Meghalaya primarily belongs to the people and is owned by individuals, clans and communities. The source of the current conflict is the dispute between a Dalit Sikh community brought and settled in Shillong by the British to work as manual scavengers for their settlements. The Punjabi Lane settlement was the result of a land settlement between the tribal chief Syiem of Mylliem in 1863 and Dalit Sikhs. This then flourished into Punjabi Lane in now land scarce Shillong. Land, and that too prime commercial land in the Khasi Hills, is a deeply contested resource. Given the special status of much of Meghalaya as a Sixth Schedule area and the hotly contested politics of the Inner Line Permit, the current conflict between minorities and Dalit Sikhs and the Khasi community is not about communal identity politics but rather has land politics at its core. Contests over land in Meghalaya can be broadly categorised as inter community (such as the one under discussion), intra community and between state and community(s). It is therefore interesting to see what it is about land as a resource and its management under the current system that has seen a steady stream of contestations around it. Land management and control in Meghalaya has historically been different than the rest of the country. Simply put, land in Meghalaya primarily belongs to the people and is owned by individuals, clans and communities. Land distribution and management takes place according to the customary practices. The land tenure system is extremely complex, varied and the land laws remain uncodified. Hence the social changes in the society have a unique relation with land and understanding(s) around it. Land cannot be sold from ‘tribals’ to ‘non tribals’. The state is regarded a ‘non-tribal entity’ except when land acquisition is towards ‘community and/or tribal welfare’. Today, land management and control is single-handedly assigned to the Autonomous District Councils. In reality in the Khasi hills, three layers of hierarchical institutions co-exist: the Syiem (the chief), the Raid (intermediary level) and the Dorbar (local level) – all under the jurisdiction of the Khasi Autonomous District Council. The symbiosis of local governance between the Autonomous District Councils, state bodies and tribal bodies is important for land management and regulation purposes especially in times of land conflict. The overlapping jurisdictions and web of legal and para-legal conventions, tribal practices and law creates a situation where tribal institutions enjoy significant control, allegiance and loyalty to tribal territories while as per constitutional law, land management is a shared subject between the state administration and the district council. The multiple poles of authority and governance in Meghalaya spin a web of laws and conventions around land. The resultant confusion and competition around land are hence symbolic of larger socio-economic and political changes. So what was the nature of tribal land management that is undergoing a change today and what lies at the heart of these current conflicts? The contact with the British administration, beginning around 1826, resulted in some alterations to the existing land control system. Khasi lands were bought/leased by the British from the Khasi chiefs. The differential land management in the Khasi hills was recognised and unlike the rest of its Indian territories, no land tax was collected by the British. However the British were responsible for altering the local authority and land ownership structures by introducing a monetised economy and leasing lands from local chiefs. This helped the rise of a single authority with a power to issue land documents significantly affecting the tribal ethics over land. Slowly but steadily modernising influences of a monetised economy and an act of ‘leases’ or grant of ‘sannads’ or ‘pattas’ between the British administration and Syiem chiefs especially in Shillong helped the rise of these chiefs as single units of authority over tribal land. It is important to note that the tribal conventions did not consider the Syiems to be equal to a ‘zamindar’. The chiefs neither had any control over, nor any claim to land revenue. This has affected the monetisation of land. The Sixth Schedule was inspired by the Government of India Act of 1935 and granted a differential treatment in order to safeguard the land rights of indigenous people in Meghalaya. 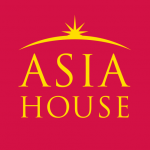 However the Sixth Schedule also inherited the weaknesses of the British India’s administrative engagement with the hills of the Northeast. The Sixth Schedule is essentially a constitutional contract between the state and indigenous social groups. The focus has been on the collective rather than the individual level. This creates problems not only for the rights of the marginalised within protected communities but also affects the rights of minorities such as the Dalit Sikhs living in the region. Hence, the conflicts over land in Shillong are not merely conflicts emerging from the ‘ills of monetised economy” but are a direct test of a modern Indian state engaging with tribal conventions to establish rule of law and just distributary outcomes. Given that land in the heart of Shillong where the Punjabi Lane colony exists has a high commercial value, it is thus a sore point amongst local Khasi and Dalit Sikh minority communities. The contest may have overtones of tribal identity but has much to do with larger and deeper land management and regulation challenges in Meghalaya today. Kavita Navlani Soereide is a Postdoctoral Researcher Fellow at the Centre for Law and Social Transformation. She can be reached at Knavlani@gmail.com. An updated version of this article can be read here Image credit: CC by Wikipedia Commons. An informed comment on the recent tension and conflict between Dalit Sikhs brought to Shillong (the capital of the old undevide Assam province/state in India by the British rulers to do scavenging work during the colonial period and the local Khasi tribes that has broke into the media locally, subregionally, and at the state and national levels. The author uses her deep understanding of the tribal laws of the khasis in a state of transformation during the British period and the post-Independence period under the Sixth Schedule of the Indian Constitution for the Khasis autonomous tribal governsnce, a feature of asymmetrical fedralism provided for and being prctised since the commencement of the postcolonial Constitution in 1950. Eminently readable. Dear author please see hiatorical facts properly. There was no land agreement between the Khasi Chief and the Dalits in 1863. There were no Dalits in 1863 in Shillong. You are misled and you mislead people. You do not know the ground reality. Please stop biasness and concocted fact. This article is based in historical illlusion. There were no sweepers’ lane (punjabi lane) in Shillong in 1863. In fact there punjabis in Shillong in that year. There cannot be agreement between punjabis and the khasi chief. The author is misled and is misleading the readers. But is it just commercial reasons or are there some intrinsic faults in the social fabric of the place also to be blamed.